So you may have noticed, MCSkyNetwork is not up all the time. The truth is that the owner, me, is busy with school and is unable to turn it on, as it is hosted by me. Therefore, MCSkyNetwork will be up only on Friday, Saturday, and Sunday. 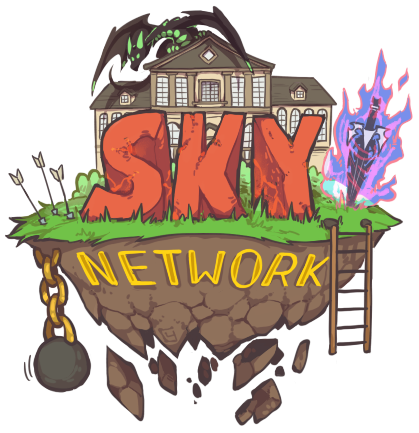 SkyNetwork features our fully custom PvP game called PrimeCraftPvP. Experience our many gamemodes, a tiering system, items made for battle that are bought with in-game money, an upgrading system, and more for you to discover. If PvP isn't your thing, we also feature a specially made Prison server. Join the community now to enjoy an unforgettable experience. Our team works hard to provide you with the best experience at SkyNetwork. Purchasing ranks, special packages, items, and more at our official store helps us provide you with an even better experience.